Nowadays, planes that carry us from a continent to a continent are fast, more efficient, and safer, but unfortunately - not cheap. Travel by car has its charm, but takes much time and energy. But let's not forget about trains. They are comfortable and such a form of travel has all the hallmarks of a romantic adventure. 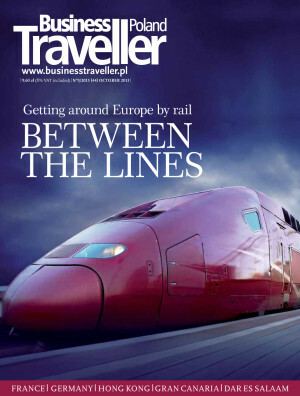 We have prepared a ranking of the ten little less well-known railway lines traveling between different cities of Europe. Trying to find the best, most interesting and most reliable train services, we have selected such operators as the Italian Italo, French Thalys, Austrian BB Railjet, the German luxury City Night Line, Elipsos which offers unique “hotel trains” linking Paris Austerlitz with Madrid Chamartin and Barcelona de Franca, as well as Cisalpino – the famous trans-Alpine service which links Zurich and Geneva with Milan. For those who are longing the heat of the summer sun, I recommend especially two articles. The first one about Hong Kong – a city whose horizon is as high as its impressive skyscrapers which are in no way inferior to those you can se in Manhattan. The second article is an interesting account of the author’s visit to the Canary Islands, where unfortunately we cannot go by train, but which are a great alternative to the gloomy autumn weather in most European cities. Enjoy your reading!